You know the feeling of waking up from a late night with bleary eyes and exhaustion running through every cell of your body? Multiple that by 9 months’ worth of nights, throw in a strong caffeinated drink, and you’ve got yourself one big book hangover. My heart is pumping with excitement over the fact that I’ve finished writing my second novella, but my brain is woooorn out. 🙂 I’m now in the aftermath of things and waiting for my book cover to be finalized and for the content to be formatted for publishing. So as I’m recovering from my book hangover, I thought I’d give you a sneak peek at what goes on behind the scenes of self-publishing a book. If you’ve ever thought about self-publishing, this will give you an idea of what to expect. 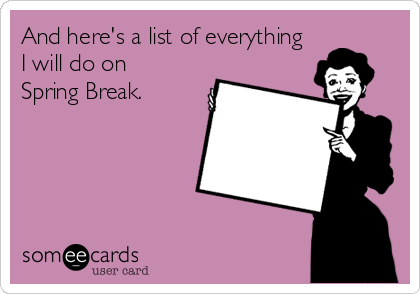 Step 1: Write the book. Easier said than done, but trust me, if I can do it, anyone can. And if writing a full length novel (40k+ words) scares you, write a novella. 🙂 Or even better, write a children’s picture book (in which case you’ll also need to draw pictures or hire an illustrator). Step 2: Edit the book. You could hire people to edit and proofread your work or you could do it yourself (and save money). I used the free ProWritingAid App and edited my book page by page. It was a slow and painful process, but well worth the effort. Step 3: Find beta readers. Choose some fellow writers, as well as some bibliophiles (aka. lover of books) to read your book. Ask for their feedback on the characters and the storyline, especially if the characters stay true to their personalities in their words, thoughts and actions and if the story moves at a good pace and has enough tension and resolution. This is a crucial step because as a writer, we get caught up in our own “book world” and need objective eyes to tell us what works and what doesn’t work in our story. Step 4: Polish the book. Take the critiques you have received from your beta readers and make any necessary changes to improve your book. 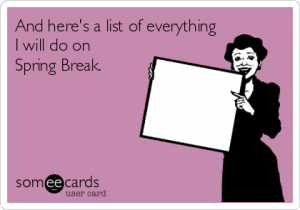 Add the fun parts to your book, such as a dedication page and acknowledgements page (to thank your peeps!). 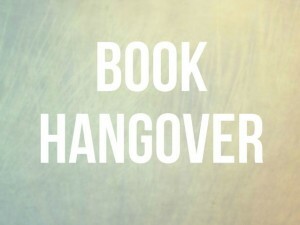 Read the book again from start to finish and make sure you are happy and satisfied with it! Step 5: Choose a publisher. There are several sites you can use to self-publish your book. For print books, the popular choice is Amazon’s Createspace, which is what I’ve gone with. They do POD (print-on-demand), which means your book is only printed after it has been bought, so there’s no need to shell out money to print the books first. 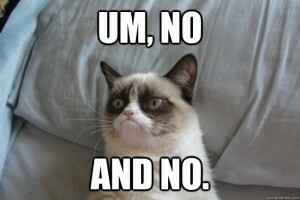 For e-books, there are more choices: Amazon’s KDP, Nookpress, Kobo, Smashwords and Bookbaby. I went with Amazon again just to make things less complicated and also because they give authors more royalty (up to 70%). Create an account and go through the steps to set it up (which will include getting an ISBN number for your book!). Step 6: Design the cover. If you’re Photoshop-savvy, you could design your own book cover. If you’re not, you could hire someone to do the work for you. While we’re told not to judge a book by its cover, we also know first impressions are everything – and the first impression of a book is its cover. So I chose to find a professional to help me and I am so glad I did! Deborah of Tugboat Design did an amazing job with my first book (see below) and I asked her to design my second one as well. At my request, Deborah changed the guy’s shoes from plaid to brown (which I thought was more fitting for his character). Step 7: Format the content. If you are patient and computer-savvy, you could format your book content yourself. If you’re not patient (like me! ), you could hire someone to do it for you. Formatting the content means getting the document ready for publishing. This involves choosing the font, setting the margins and spacing correctly, and doing whatever else to make the inside of the book pretty and readable. I also asked Deborah from Tugboat Design to help me with this. Step 8: Publish your book! After you have your book’s cover and content ready, you’re all set to upload the files to the publishing site. E-books go live fairly quickly (after about a day). For print books, you’ll need to get a sample sent to you to proofread and approve before the book can go live (the process takes 3-5 days). Whew! I’m on step 7 now and can’t wait to get to step 8 in the next week or so. 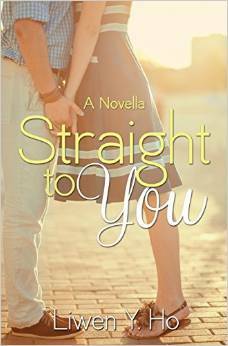 I’m super excited to share my second novella with you all! Until then, here’s a cute song, “Bright” by Echosmith to get you in the mood for reading a love story. What kind of book would you want to write? This entry was posted in Makings and tagged book hangover, echosmith, publishing, writing. Question of the day: What do bovine animals and illegal drugs have to do with each other? The short answer is this: They are both mentioned in my personal essay (appropriately) titled, “A Dairy Cow on Steroids”, which can be found in the new book, I Am Here: The Untold Stories of Everyday People. 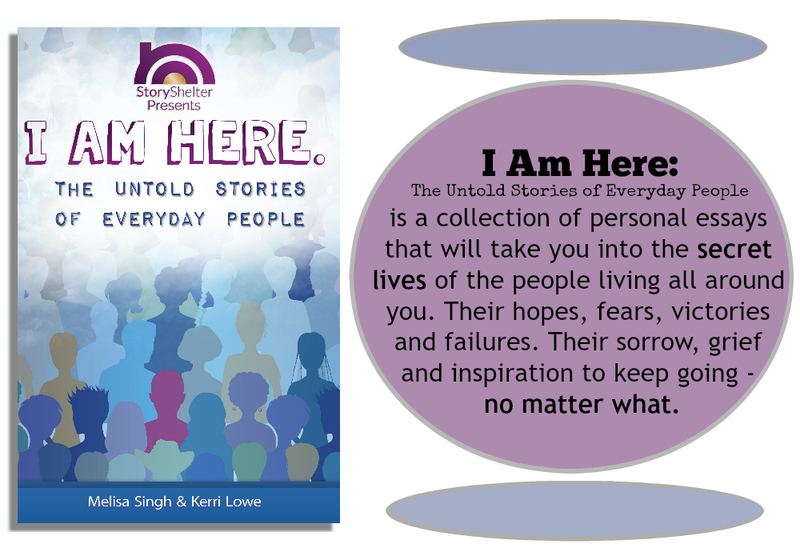 I’m super excited to share with you that my essay was chosen to be included in this book published by StoryShelter.com, a cool website that offers “the social space to share life’s stories”. 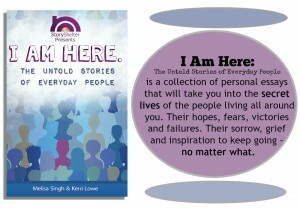 I Am Here is a collection of true, funny, heart-wrenching, and inspiring stories told by everyday people. Its format is similar to Chicken Soup for the Soul (but a slightly edgier version), so if you like those books, you’ll probably like this one, too. Happy reading! 🙂 And if you have a story to share, check out https://www.storyshelter.com/! This entry was posted in Makings and tagged I Am Here, StoryShelter.com, writing. E: Is Aunt coming to dinner? Me: No, she has to work. Only students get this week off. E: No, people who work at home do, too. Just kidding. 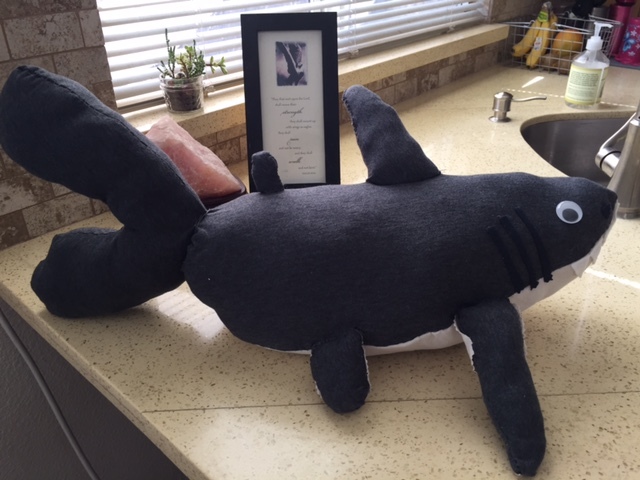 Somehow the munchkins and I did manage to visit Target and Toys ‘r Us, buy groceries, make yummy breakfast sandwiches (get the easy recipe HERE) and create a stuffed shark for E’s school project. 2 T-shirts and some stuffing, felt and googly eyes and ta-da! I’ve also been working like a madwoman to edit my book (yup, it’s done! ), which means I’ve been listening to lots of pop music. Here’s a fun one I’ve had on repeat, MKTO’s “Classic”. One half of this duo was the actor who played Walt on the TV show “Lost”! 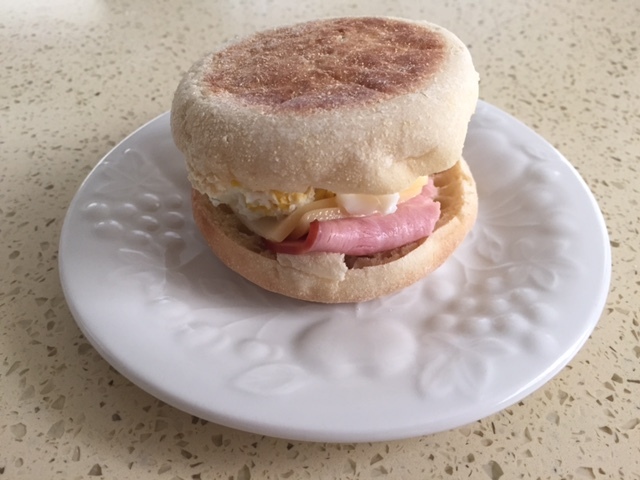 This entry was posted in Mamahood and tagged breakfast sandwich, MKTO, spring break. The other day C handed me a picture she had spent several minutes drawing and coloring. My eyes grew wide when I glanced at the lined notebook paper. I had been expecting her usual trademark chicken pictures, but this time she had drawn something completely different. On the paper were three brown crosses with a man hanging on the middle one. At first I didn’t know what C meant; she’s known how to draw faces since preschool. Then it dawned on me that she didn’t know whether to draw a line curving up or down. Because considering the circumstances, death on a cross was one of the most painful, excruciating, and shameful ways to die. Yet, Jesus willingly accepted all of the physical, emotional and spiritual torture that went with it for one reason: His love for us. 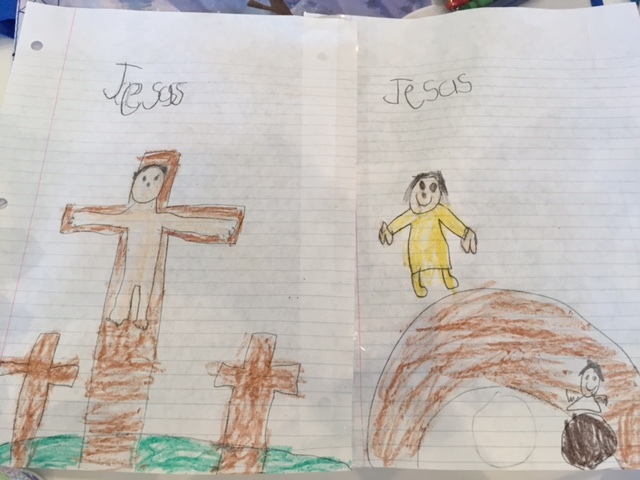 I’m not sure whether or not a 6 year old understands the theology behind Jesus’ emotional state on the cross, but C’s picture does shed some light on how complex, deep and heart-wrenching Jesus’ sacrifice for us must have been. Shame versus joy. Or rather, shame mixed with joy. That was how Jesus viewed the cross. Even though the day Jesus died was the darkest, most depressing Friday in all history, it paved the way to the most glorious, awesome Sunday three days later. That’s why today is called GOOD Friday. C’s pictures: Good Friday on the left; Easter on the right! So happy Good Friday to you all! May you have a wonderful Easter Sunday, too. Now enjoy this contemporary take on one of my favorite hymns, “The Wonderful Cross”, sung here by Chris Tomlin. How do you view Jesus’ death on the cross? This entry was posted in Musings and tagged chris tomlin, faith, Good Friday, kids.